November | 2011 | "A Stitch in Time"
Tomorrow marks the start of our Advent season. 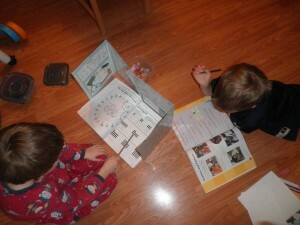 The actual sit down organized, what the kids call “boring” education is basically set aside for Christmas fun! Educational Christmas fun, of course… We are doing the Activity Village daily Advent activities (as many as we can and have supplies for), the boys have requested to learn about sleds – I have a few books on hold and what I could get yesterday from the library, and we are doing our Polar Express lapbook! I am excited about that one. We read the book for the first time today and coloured the cover page. I need to fold the two folders for each boy tonight and then we are jumping right on in with two little booklets per day! 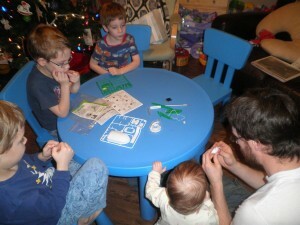 Add to that anything and everything I can find for them to do, learn, etc and I think we will keep rather busy! We got some terrific mail today! 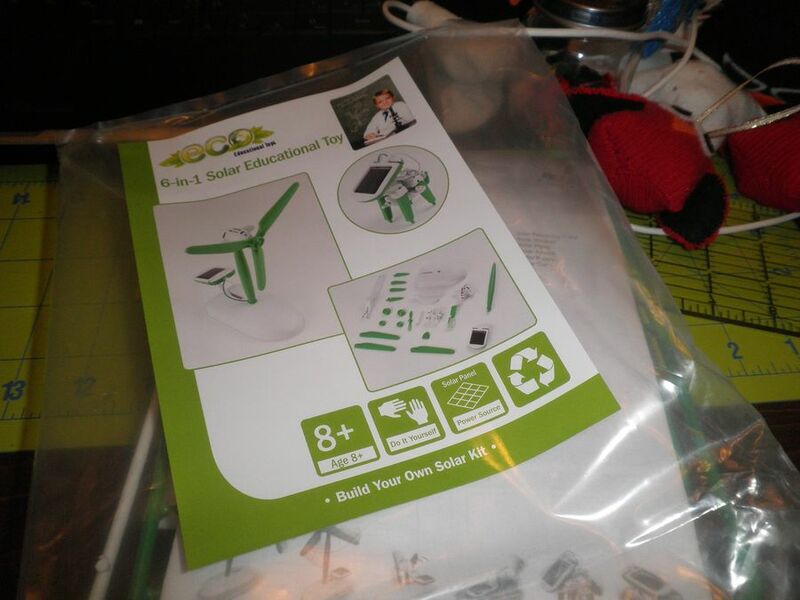 Cousin Veronika found a Groupon for a 6 in 1 Solar Educational Toy and got it for us to add to our homeschooling supplies! So of course we had to bust it out tonight. Ken and the boys sat at the blue table and made up the puppy version. Tomorrow we are going to put it in the sunlight and take what Ken told them about solar panels and actually SEE them at work! 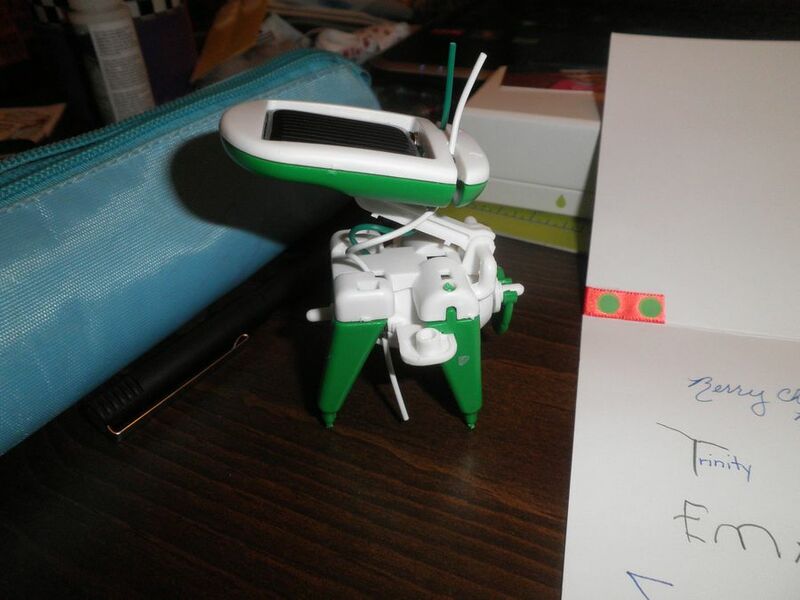 It is adorable too, the finished puppy. After they have a go with it in that form for a while we will pick another. But what a great way to see how we can harness the power of the sun! I finally got the chance to photograph the little owl ornament I made and put up in my Etsy store to purchase. It is 10.00 plus shipping and I would love to send it to a new home! I have two white ones to finish as well! I really do enjoy making them, I just hope SOMEONE ELSE will enjoy them as much as I have someday! So we got more snow today which made the roads rather treacherous, but Ken managed to get out to the store to get rice and the twins made a go at playing outside. 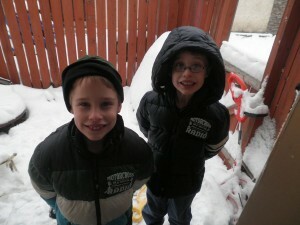 They got cold rather quickly (and refused to wear snowpants) but they ran around and enjoyed the fresh snow. We hope to take them out sledding this weekend. AND apparently the van is FINALLY going in for repairs tomorrow! Keep fingers crossed the part is minor and that is ALL they need to fix as the coolant system is what will be comped. He Chris got roped into post supper stories with Trinity tonight. She took full advantage of his naivety and gave him one of her longest books to read! I had to giggle as everyone else is VERY aware of the pitfalls to reading that particular book! But he did a great job. I really wish I could share more of the crafts I am completing BUT I am taking pictures to share AFTER we give them out!! So for now I say Happy Almost Advent and get back to my crafting! 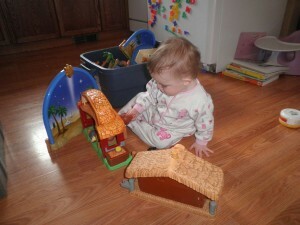 Playing in our Little People Nativity set! 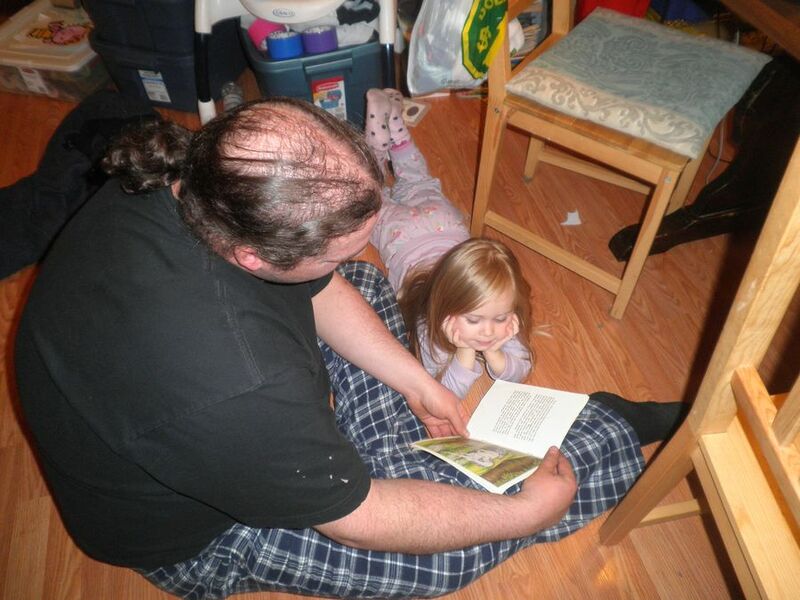 I have come to the conclusion that jammie storytime is too young for the twins… since Karyn is away on training we took the WHOLE family to storytime… way to simplistic for the boys who are bigger than everyone else and (in Zander’s case) louder. BUT we did the stories, sang the songs AND coloured the craft. 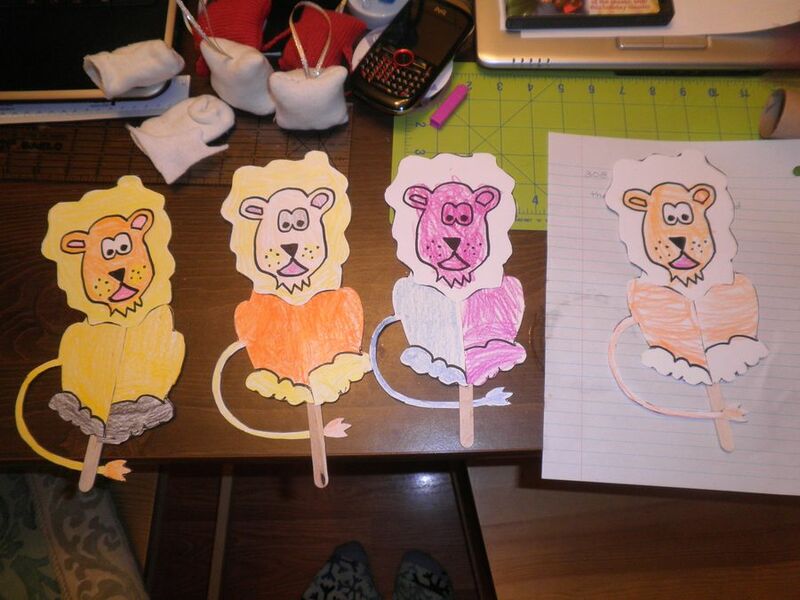 Today’s theme was jungles and the craft – colour 3 parts and combine them on a popsicle stick to make a lion. We are still working through our cranky stage BUT I had two pretty willing individuals for some workbook time… on the floor since our kitchen table is a mess and the blue table was set for drying crafts… Emanuel is able to count rather far but is still working on his recognizing of number. The Math Mini Office is an absolute godsend. Gavin has gone in leaps and bounds with his reading (so has Zander really) though he is adamant that writing is NOT his favourite thing. I keep telling them – if you want to learn to type you need to learn to read!! We finished our simple ornament craft. 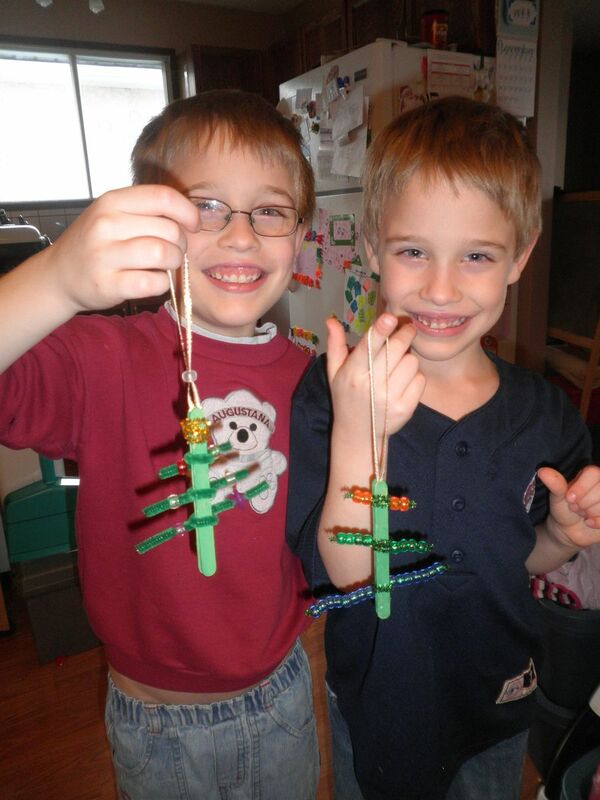 There is a lovely video if you like that over written instructions but you can make your own popsicle stick trees by following the instructions HERE. We only had a limited amount of the sparkly pipecleaners but I think the regular green looks great as well! We did not sandwich a ribbon for the little ones so I have to decide if they are going to make cards out of theirs or if I am going to hot glue some ribbon on now instead. Finished trees... fun and simple! We got our Christmas cards in the mail today! EARLY! This year we are trying something different… with the move and our change in contact info and the fact that we simply cannot make enough cards for everyone I decided to go with Moo.comand buy mini cards. 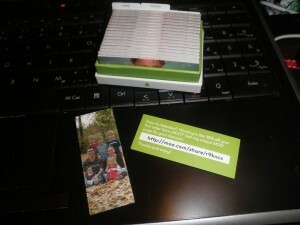 They are half the size of a regular card and you can personalize them and everything! So we used 6 different pictures – one of each of the kids and then a family shot (thanks Fydo for the amazing picture by the way!). So you may (if you get a card) not get the same card as someone else!! Actually, if you are interested in buying stuff from there please contact me. I can refer you and you get 10% off AND I get some points towards my next purchase (ie. cards for NEXT year!). So I am already thinking about who gets which card, and hoping to SEE most people so I don’t post. This year has been (and the years to follow will be out of necessity) all about economizing. I don’t want us to sacrifice our fun or our giving but I want us to do it in an intelligent manner. Echo is standing on her own more and more. I need to catch her at a good time and get a picture! 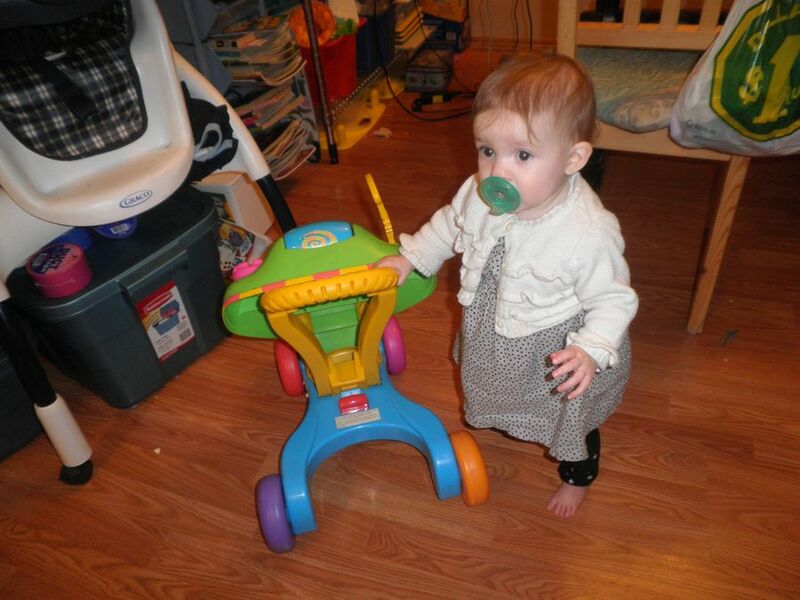 We think she will be walking VERY soon… what a Christmas present huh? In time for her to walk right up to trees and start UN-decorating them! 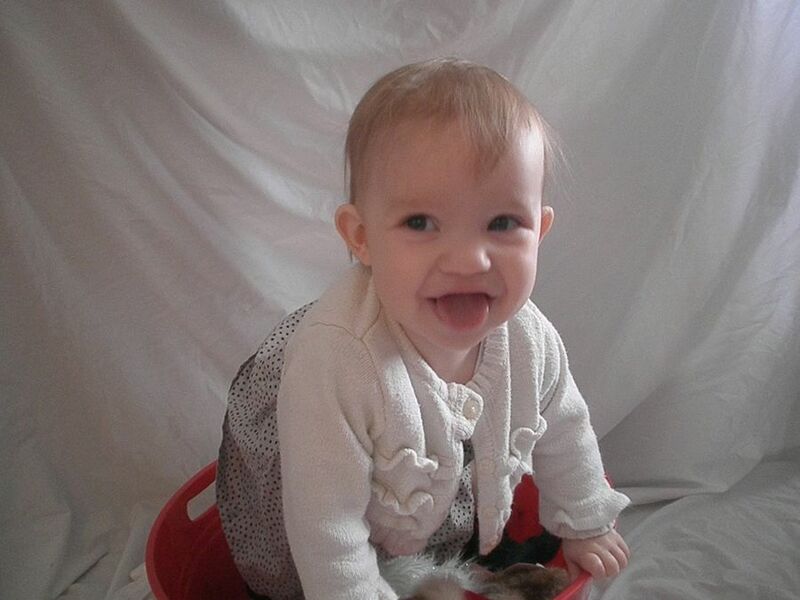 Good thing she is adorable right? 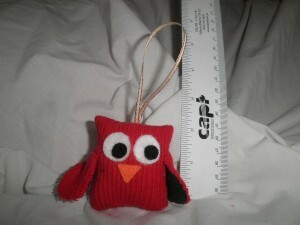 I am working on ornaments lately – bitty 2 inch sock owl ornaments! Tomorrow I hope to have one up for sale… and maybe gift one… I swear this is the busiest November/December I have had in years crafting wise – I am just way behind where I usually am at this point! Thank goodness the kids are getting to the helpful age with things like baking! And with that back to work I go! Up late and did her own hair.. had to take a pic! Late nights and a lack of naps caught up with our Trinity. While her face may be sweet her temperament has NOT been! She did have a nice long afternoon nap but I think tonight and tomorrow’s nap are what it is going to take to make her sweet disposition return! In the meantime we have continued on with our Christmas preparations. I have a whole folder of laminated activity sheets… worksheets… etc that I printed out last year that the kids dumped on the blue table and went crazy with. 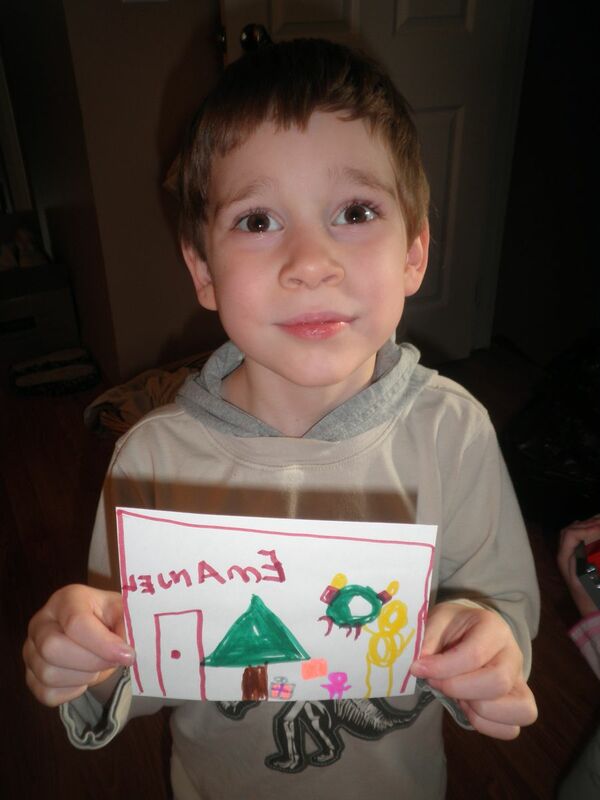 You can find great examples at EnchantedLearning and ActivityVillage. Seriously, our laminator was one of our best purchases in our first financed year of homeschooling! 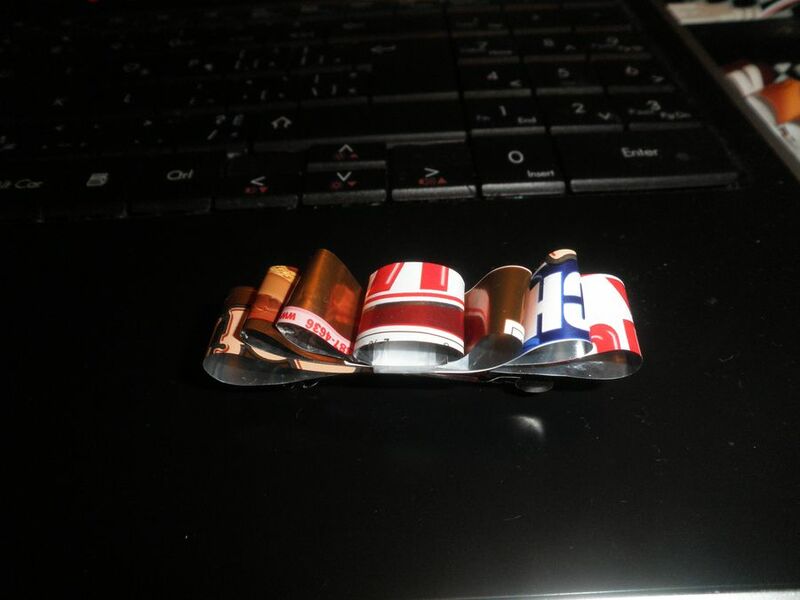 I made up some candy wrapper barrettes from wrappers I saved over the summer. I am still trying to get them onto the clips the way I want. I used Gorilla glue for now as I don’t have anything else with that kind of sticking power for paper and metal. I just don’t think hot glue will do it! The two I have finished are on French barrettes. 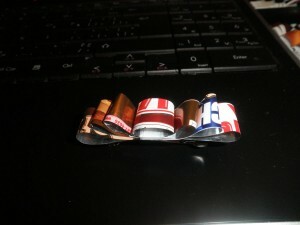 I found that the wrappers can be tricky, I made 4 or 5 and liked two… though Ken says I am over critical. We have started another craft, I thought we had green popsicle sticks but all we could hunt down were brown ones so out came the green paint. I will share the entire craft with you tomorrow when we finish assembly post paint drying. I am still a little shocked as to how close Christmas is. We still do not have much planned but that is mainly based on the van repair… this week… I hope! 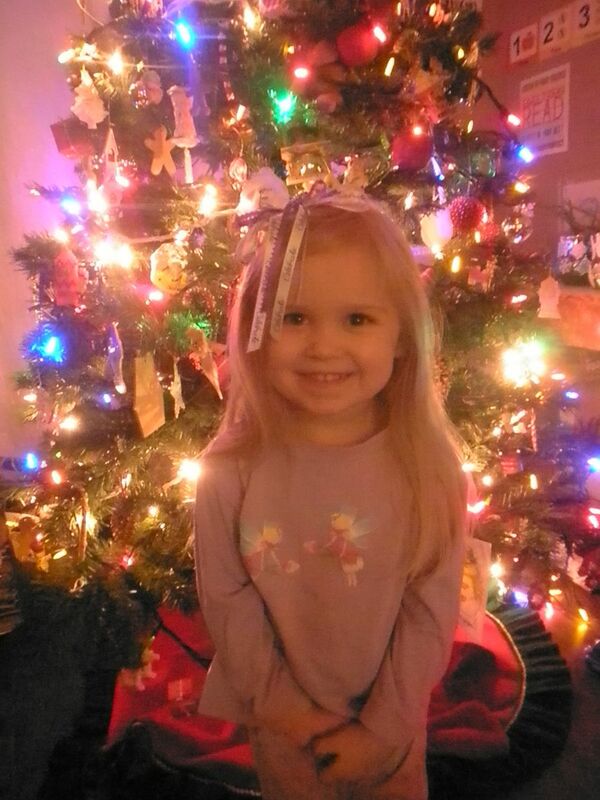 We do plan to be at my mom’s for Christmas Eve though… no matter what… I am told. So instead if you are in the neighbourhood feel free to contact me and we can visit! I am not sure how many Christmas cards I really WILL send this year, ours are not yet here and I am, it seems, always late with them out anyway. I figure I will send some and then hold onto others and give them as I see people…. maybe? If you ARE a sender… please contact me for my current address instead of using our old one… we do not have mail forwarding! 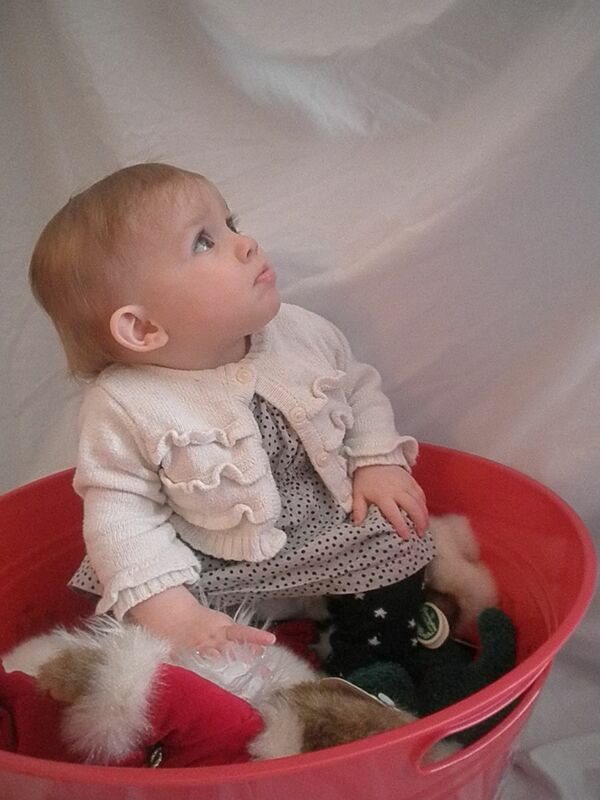 We had another exciting Freecycle find… I posted about sleds and received TWO today – a two seater and a saucer. The kids took a peek at them and are VERY pleased. Now if the snow would just stop melting… we get some on the ground and then it turns to slush the next day! No skates yet but I am looking. And now I really should get back to the crafting… time is ticking!